Brothers Jeff Methier and Ron Methier have been passing the same birthday card, pictured here, back-and-forth for the past 42 years. Two Arizona brothers have been passing the same birthday card back-and-forth on their birthdays for 42 years now -- and they plan on continuing the tradition, says the daughter of one of the men. Photos of the "Peanuts" birthday card is making rounds on Reddit and Imgur, where Sunny Kate Methier said she uploaded photos of the four-decades-old card her father Jeff Methier first purchased and sent to her uncle, Ron Methier, on April 1, 1973 on Ron's 22nd birthday. 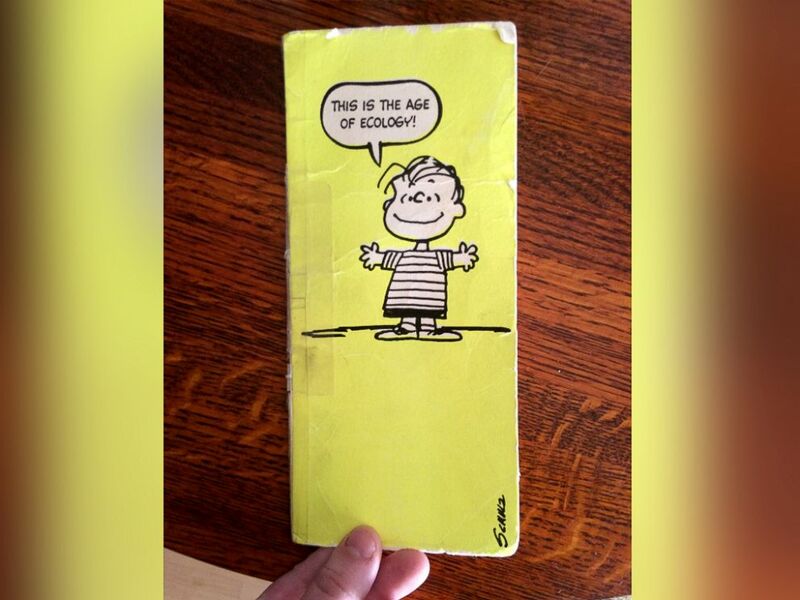 The yellowed cover features "Peanuts" character Linus saying, "This is the age of ecology," and the creased inside reads, "Don't throw this card away ... Recycle it to a friend!" Sunny Methier, 23, explained her dad first got the card when "Ron was going off to college to become an environmental engineer, so he thought the card was appropriate." The card has been recycled for 84 birthdays, including Jeff's 58th birthday this past Sunday on June 28, Sunny Kate Methier said today, adding that her boyfriend encouraged her to upload the card to Reddit while they were at Jeff's house to celebrate his birthday. Redditors have responded positively to the brothers' birthday tradition, though they've been quick to tease Ron Methier, who is now 64, about 2010 -- the year the card indicates when Ron "forgot to sign." "My dad wanted me to make sure everyone knows that Ron really isn't absent minded!" Sunny Methier said. "Although, I'm glad everyone gets a kick out of him forgetting to sign. It's hilarious." Sunny added that she's incredibly happy about the attention the card is receiving online. "I just want to say that [I'm] glad this post has had so much visibility!" she wrote on Reddit. "My dad will definitely be so happy with this experience!"